I mostly work with colour images but now and then I find one that I think benefits from the monochrome treatment. I have a preference for the sepia effect but usually prefer to create this myself rather than use a ready made filter. This footbridge is featured in the StillWalks video below – Troserch Woodland Walk – but not this shot of it and not in monochrome. 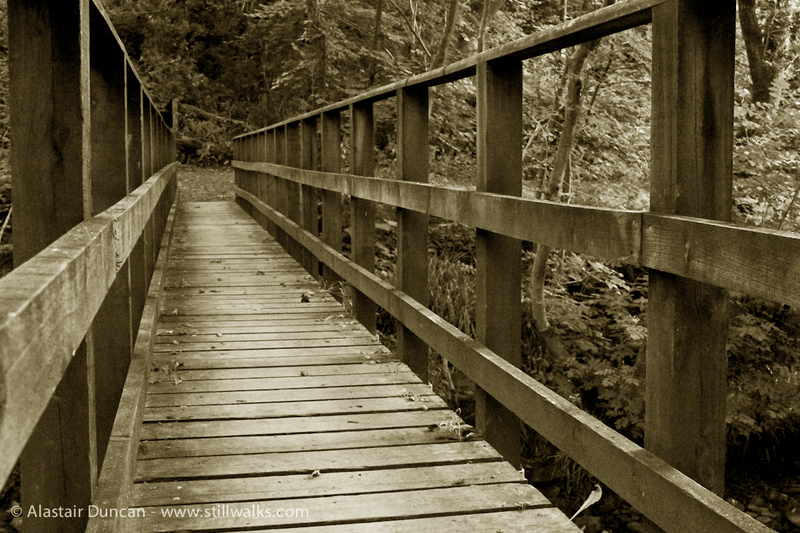 Posted in Photography, Video, Walks and tagged Carmarthenshire, footbridge, monochrome, photography, relaxation, sepia, stillwalks, stress relief, Troserch, video, wales, walking, walks, woodland. Thanks 🙂 Me too, and they provide a useful “way marker” or “milestone” in the sequence of images in a StillWalk video – not just the image but the sound of footsteps crossing it too.